For other people named Bobby Bell, see Bobby Bell (disambiguation). Bobby Lee Bell, Sr (born June 17, 1940) is a former professional American football linebacker and defensive end. He is a member of the Pro Football Hall of Fame, the College Football Hall of Fame, and was a member of the Chiefs' team that won Super Bowl IV against the Minnesota Vikings. He excelled in several sports at a then-segregated Cleveland High School in Shelby, North Carolina, where his first two years he played six-man football at halfback. During his junior year, his school converted to playing an eleven-man team where Bell served as quarterback. He won All-State honors. At the University of Minnesota, Bell was switched to the defensive line and was a two-time All-American (1961 & 1962), winner of the 1962 Outland Trophy as the nation's outstanding interior lineman, and finished third in the Heisman Trophy voting. The Gophers with Bell were the 1960 National Champions, played in the 1961 Rose Bowl, and won the 1962 Rose Bowl Championship. Bell was later inducted into the College Football Hall of Fame. He joined Alpha Phi Alpha fraternity, via the Mu Chapter while at the University of Minnesota. At age 74 he completed his college degree at Minnesota by finishing the three remaining courses required. He graduated on May 14, 2015, some 50 years after leaving college to play professional football. He played for the Kansas City Chiefs, first in the American Football League from 1963 through 1969, and then in the NFL from 1970 through 1974. Bell was an AFL All-Star for six consecutive years, 1964 through 1969, and then an NFL Pro Bowler for three straight years (1970-1972). He was on two AFL Championship teams and a World Championship team. He was named to the All-Time All-AFL Team in 1970. He was inducted into the Chiefs Hall of Fame in 1980, and the Pro Football Hall of Fame in 1983. The Chiefs retired his uniform number 78. In 1999, he was ranked number 66 on The Sporting News' list of the 100 Greatest Football Players. One of Bell's finest moments came in the 1969 AFL divisional playoff game against the New York Jets. In a critical goal line stand, his key coverage on Jets running back Matt Snell stopped the drive and forced New York to kick a field goal. The 13-6 victory over the Jets propelled Kansas City to its only Super Bowl triumph. During a regular season game against Denver (11/27), the Broncos, trailing 24–17 late in the game, attempted an onside kick that was recovered by Bell, who promptly returned that kick for a 53-yard touchdown. Bell was noted for his one-of-a-kind athleticism at 6' 4" and 230 pounds and was reported to have run a 4.5 40-yard dash. Bell was possibly the most physically gifted linebacker in professional football history, for his speed at such a size made him ideal at outside linebacker. He was noted as one of the finest open-field tacklers in Professional Football history, and if he missed, he had the speed to make up for it. He was also a great blitzer from the linebacker position. Chiefs records show Bell had 40 career quarterback sacks and he might have had more if he had played right linebacker, not the left linebacker. In that era, more often than not the right-side linebacker got the call to "dog" or blitz since more often than not the tight end would be lined up on the right side (the defense's left). Since Bell was on the left, he usually covered more than he blitzed. He scored 9 touchdowns in his career: 6 off interceptions (most in NFL history for a linebacker with Derrick Brooks), 2 more touchdowns off fumble recoveries, and one off an onside kickoff return. Coach Hank Stram said that, "He could play all 22 positions on the field, and play them well." In addition to all that, he was regarded as one of the greatest long snapper centers for field goals and points-after-touchdowns in NCAA and AFL/NFL history. 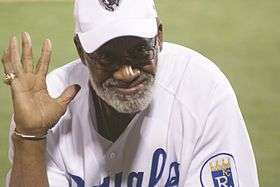 After his retirement, he opened Bobby Bell's Bar-b-que in Kansas City. ↑ Chiefs History: 1960's Archived January 24, 2007, at the Wayback Machine. KCChiefs.com, retrieved January 1, 2007. ↑ Mayer, Larry (2013-07-26). "Briggs adjusting to new role as defensive play-caller". Chicago Bears. Retrieved 2013-07-26.